Parade participants made their way through town on all types of vehicles. 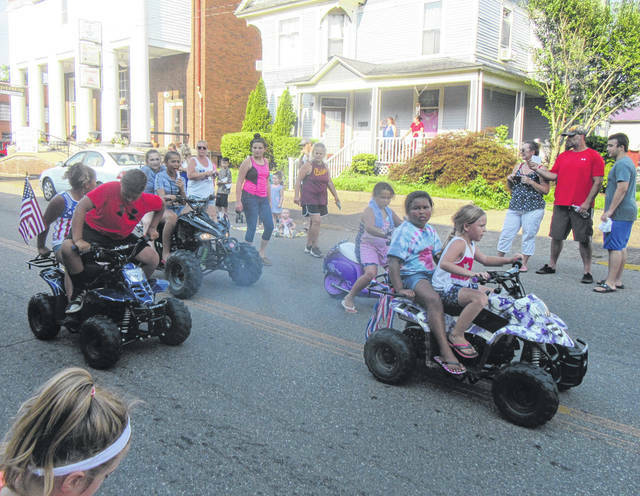 Several children rode four-wheelers in the Middleport parade. 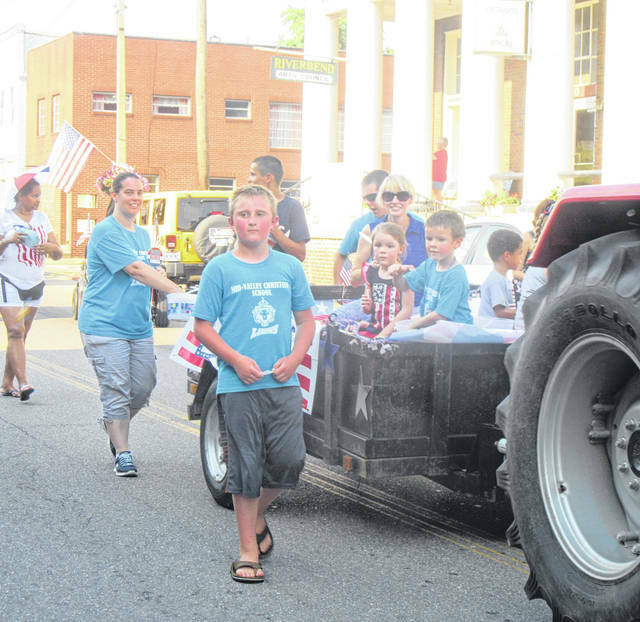 The Middleport Police Department led the parade through town on Wednesday evening. 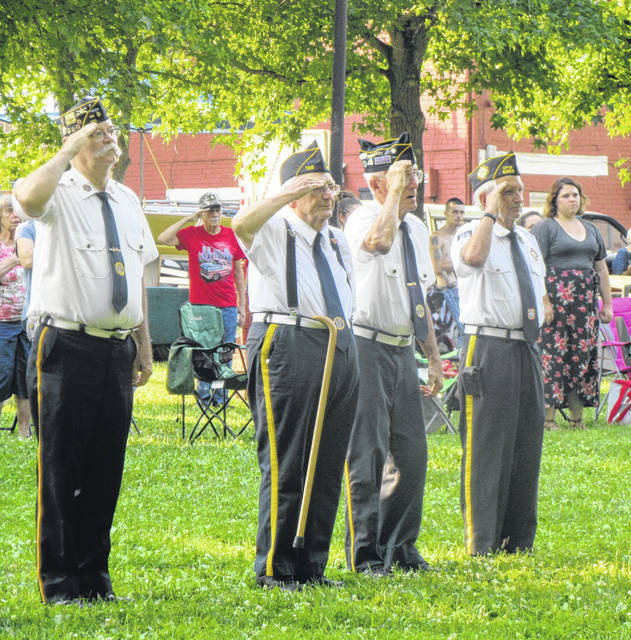 Members of American Legion Feeney Bennett Post 128 rode in the Independence Day parade before conducting a flag raising ceremony at Dave Diles Park. Amber Pierce rides in the Inclusions parade vehicle, throwing candy to those watching the parade. Two children pedaled their bicycles along the parade route. 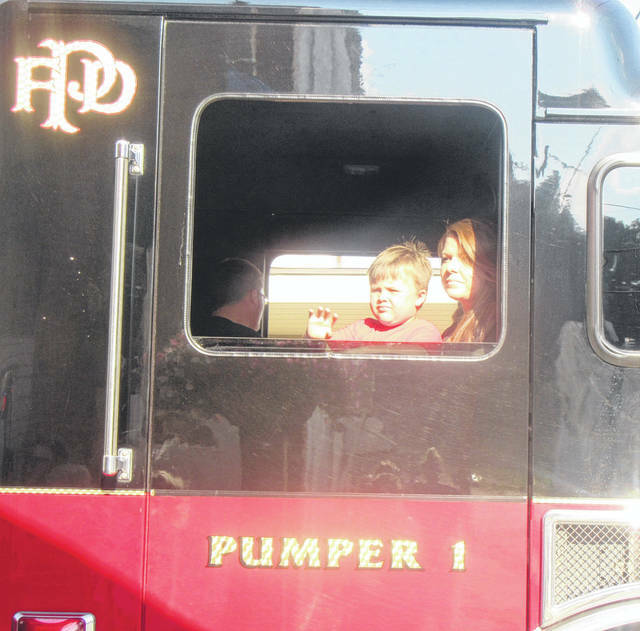 A young boy waves to the crowd from the back of Pomeroy Fire Department’s Pumper 1. American Legion Feeney Bennett Post 128 members salute during the playing of the National Anthem. A tractor was also part of the Independence Day Parade in Middleport. In addition to candy, parade participants passed out popsicles to children along the parade route. The Meigs Marching Band included red, white and blue flags. Noah Miller makes his way along the parade route in Middleport. Mid Vally Christian School students passed out candy along the parade route. The Party in the Park Queen candidates took part in the Middleport parade. The Middleport Fire Department had several trucks in the parade. American Legion Feeney Bennett Post 128 members salute after raising the flag at Dave Diles Park. https://www.mydailysentinel.com/wp-content/uploads/sites/14/2018/07/web1_7.6-Middleport-5.jpgParade participants made their way through town on all types of vehicles. 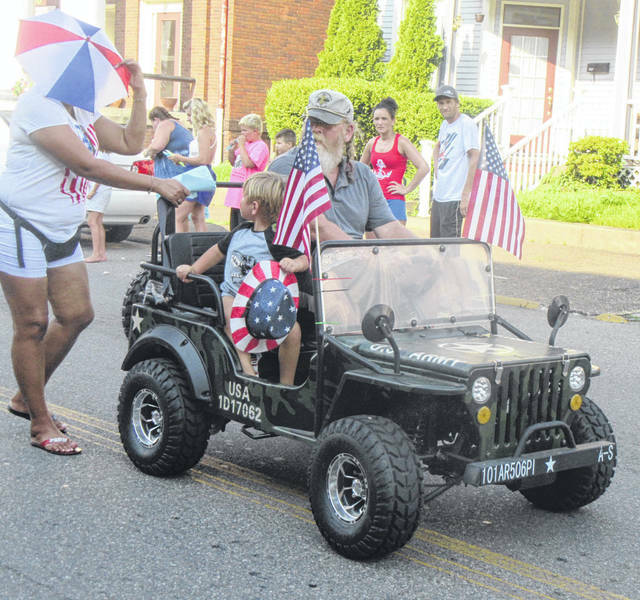 https://www.mydailysentinel.com/wp-content/uploads/sites/14/2018/07/web1_7.6-Middleport-6.jpgSeveral children rode four-wheelers in the Middleport parade. 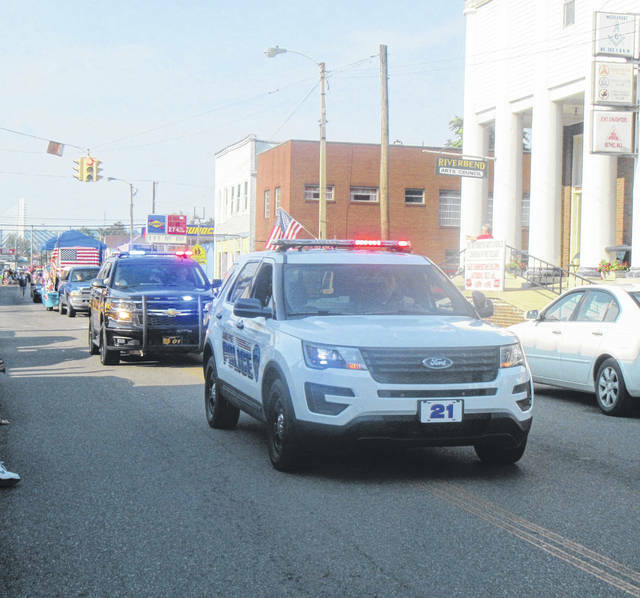 https://www.mydailysentinel.com/wp-content/uploads/sites/14/2018/07/web1_7.6-Middleport-7.jpgThe Middleport Police Department led the parade through town on Wednesday evening. 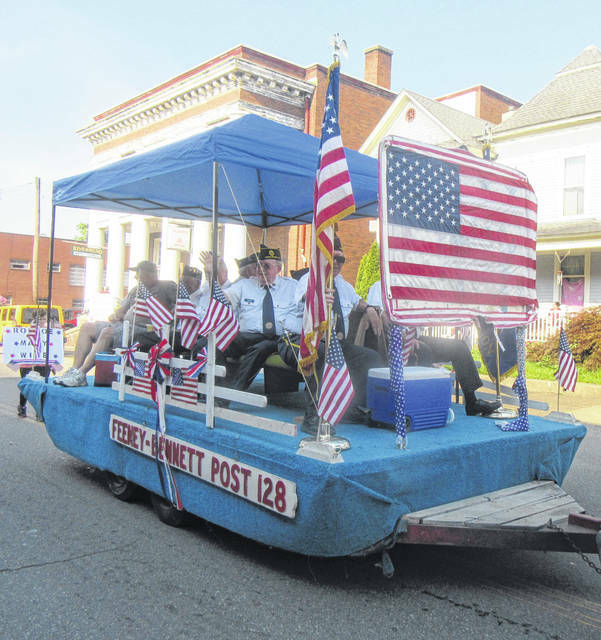 https://www.mydailysentinel.com/wp-content/uploads/sites/14/2018/07/web1_7.6-Middleport-8.jpgMembers of American Legion Feeney Bennett Post 128 rode in the Independence Day parade before conducting a flag raising ceremony at Dave Diles Park. 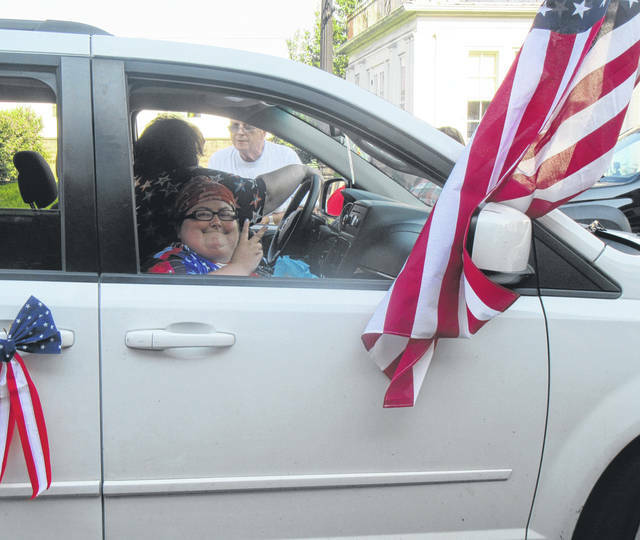 https://www.mydailysentinel.com/wp-content/uploads/sites/14/2018/07/web1_7.6-Middleport-9.jpgAmber Pierce rides in the Inclusions parade vehicle, throwing candy to those watching the parade. 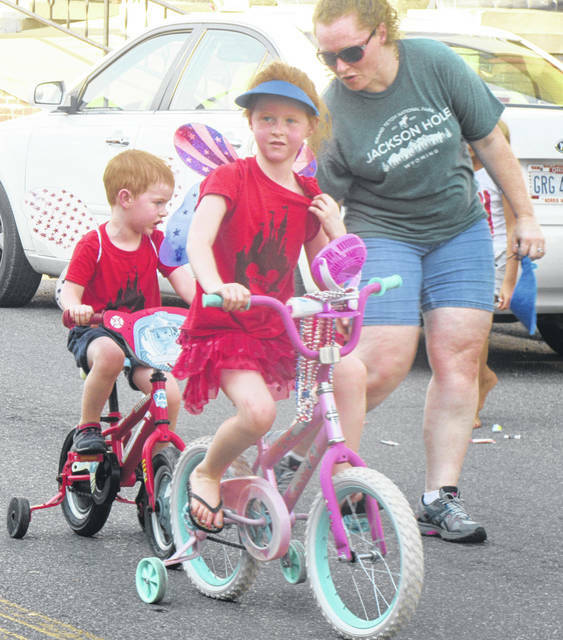 https://www.mydailysentinel.com/wp-content/uploads/sites/14/2018/07/web1_7.6-Middleport-10.jpgTwo children pedaled their bicycles along the parade route. https://www.mydailysentinel.com/wp-content/uploads/sites/14/2018/07/web1_7.6-Middleport-11.jpgA young boy waves to the crowd from the back of Pomeroy Fire Department’s Pumper 1.
https://www.mydailysentinel.com/wp-content/uploads/sites/14/2018/07/web1_7.6-Middleport-12.jpgAmerican Legion Feeney Bennett Post 128 members salute during the playing of the National Anthem. 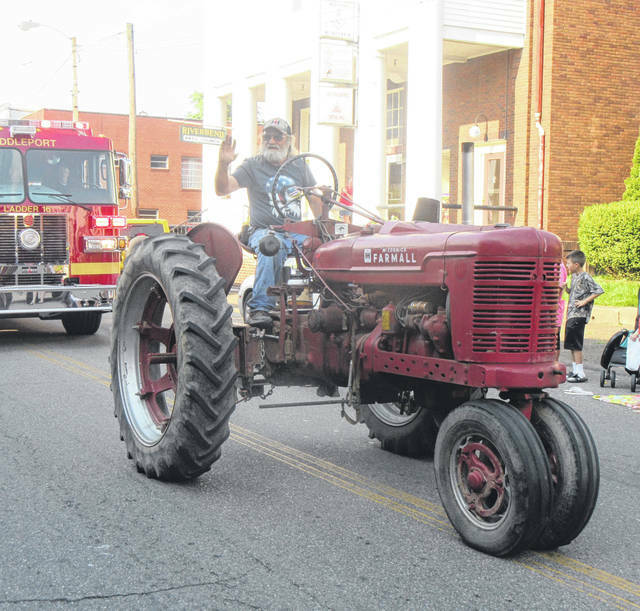 https://www.mydailysentinel.com/wp-content/uploads/sites/14/2018/07/web1_7.6-Middleport-13.jpgA tractor was also part of the Independence Day Parade in Middleport. 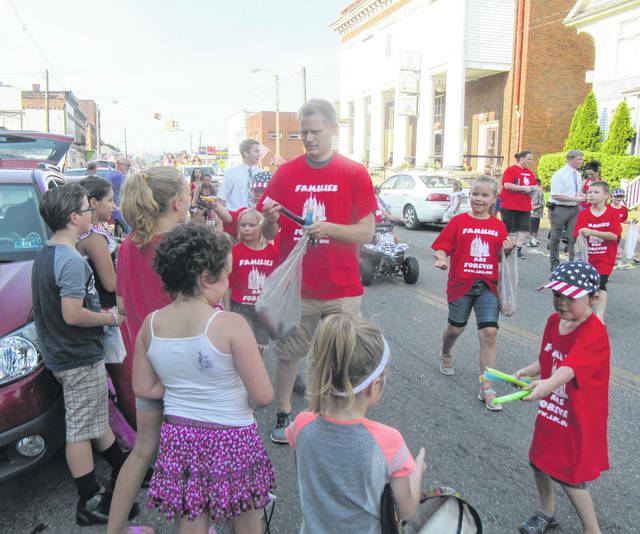 https://www.mydailysentinel.com/wp-content/uploads/sites/14/2018/07/web1_7.6-Middleport-14.jpgIn addition to candy, parade participants passed out popsicles to children along the parade route. 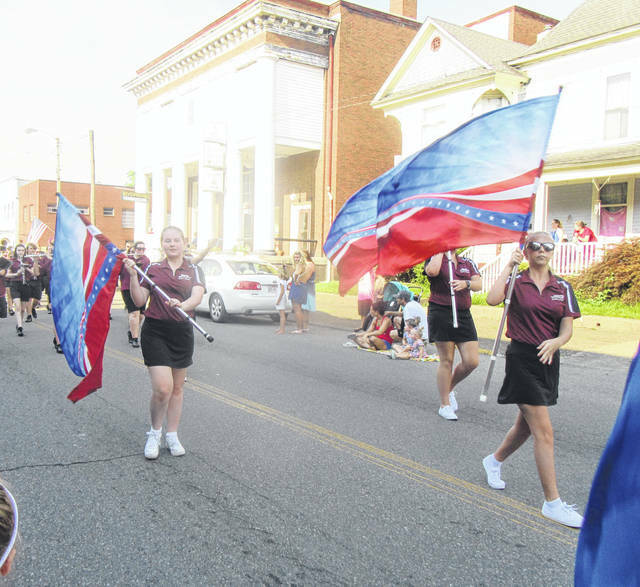 https://www.mydailysentinel.com/wp-content/uploads/sites/14/2018/07/web1_7.6-Middleport-15.jpgThe Meigs Marching Band included red, white and blue flags. 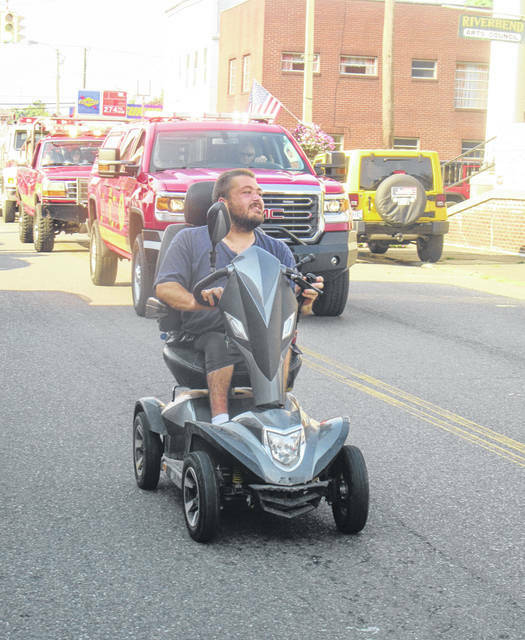 https://www.mydailysentinel.com/wp-content/uploads/sites/14/2018/07/web1_7.6-Middleport-16.jpgNoah Miller makes his way along the parade route in Middleport. https://www.mydailysentinel.com/wp-content/uploads/sites/14/2018/07/web1_7.6-Middleport-17.jpgMid Vally Christian School students passed out candy along the parade route. 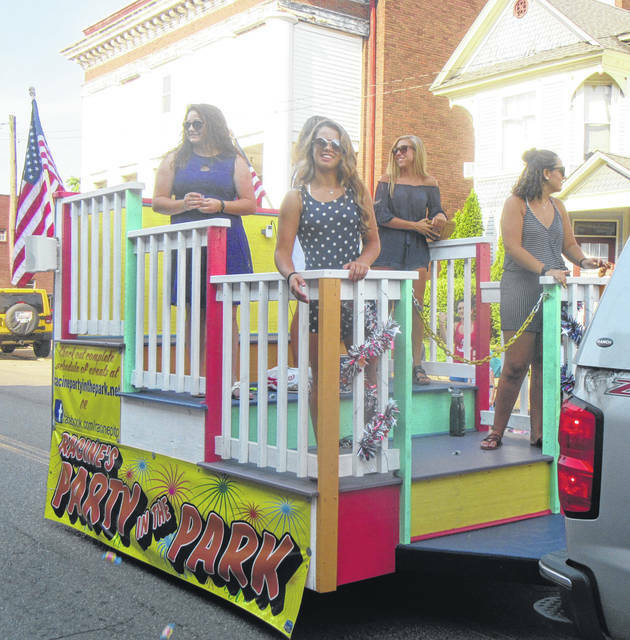 https://www.mydailysentinel.com/wp-content/uploads/sites/14/2018/07/web1_7.6-Middleport-18.jpgThe Party in the Park Queen candidates took part in the Middleport parade. 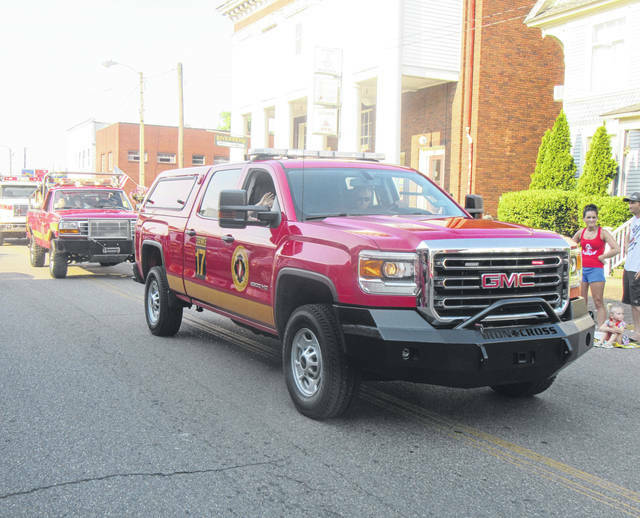 https://www.mydailysentinel.com/wp-content/uploads/sites/14/2018/07/web1_7.6-Middleport-19.jpgThe Middleport Fire Department had several trucks in the parade. 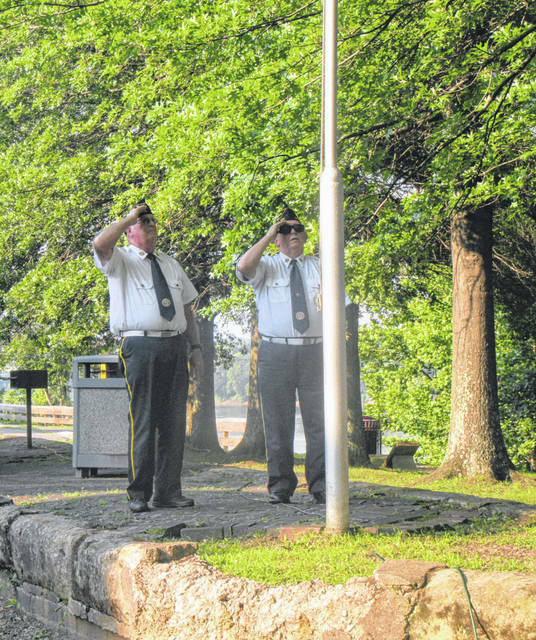 https://www.mydailysentinel.com/wp-content/uploads/sites/14/2018/07/web1_7.6-Middleport-20.jpgAmerican Legion Feeney Bennett Post 128 members salute after raising the flag at Dave Diles Park.